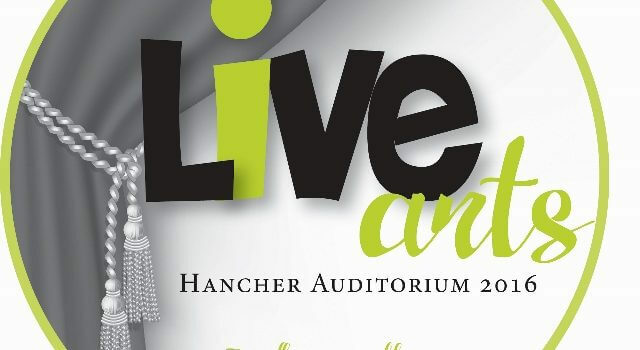 LiveArts@Hancher continued for 8th grade students in the District this school year. 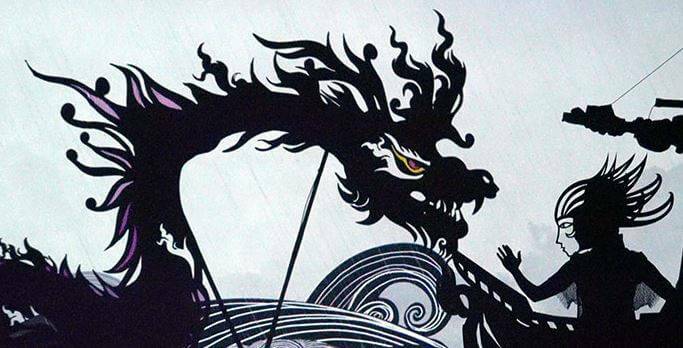 On April 4, students attended the shadow play, Feathers of Fire: A Persian Epic. 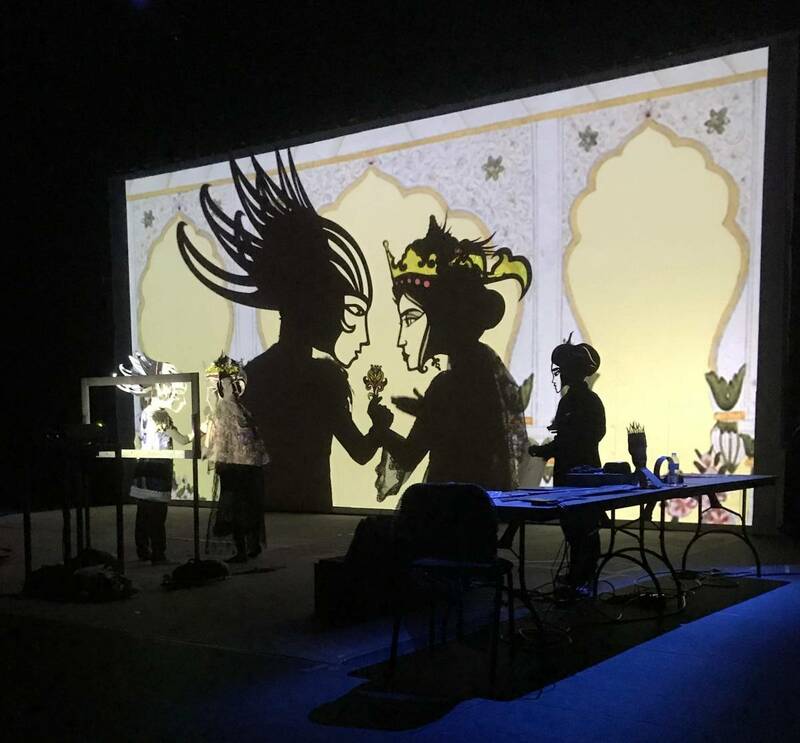 The play, which recounts the tale of Zaul and Rudabeh, two star-crossed lovers, used a combination of shadows, puppets, costumes, masks, scenography, and digital animation to bring the story to life. 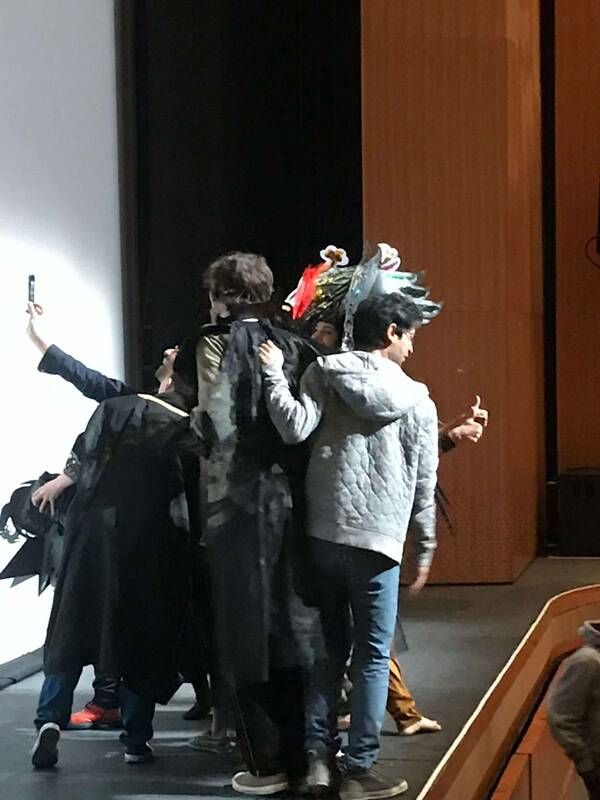 Following the performance, students took a selfie with the cast members and were given a peak at what happens behind the screen to make the production come to life. 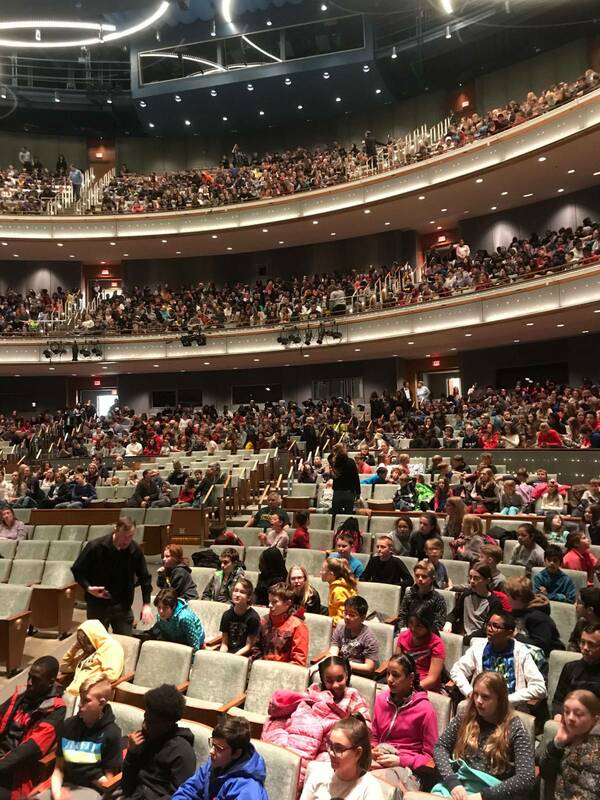 The LiveArts program is coordinated by Any Given Child Iowa City, a program of the John F. Kennedy Center for the Performing Arts in Washington, D.C., designed to assist a community in planning strategically to provide an equitable arts education for all students in grades K-8. 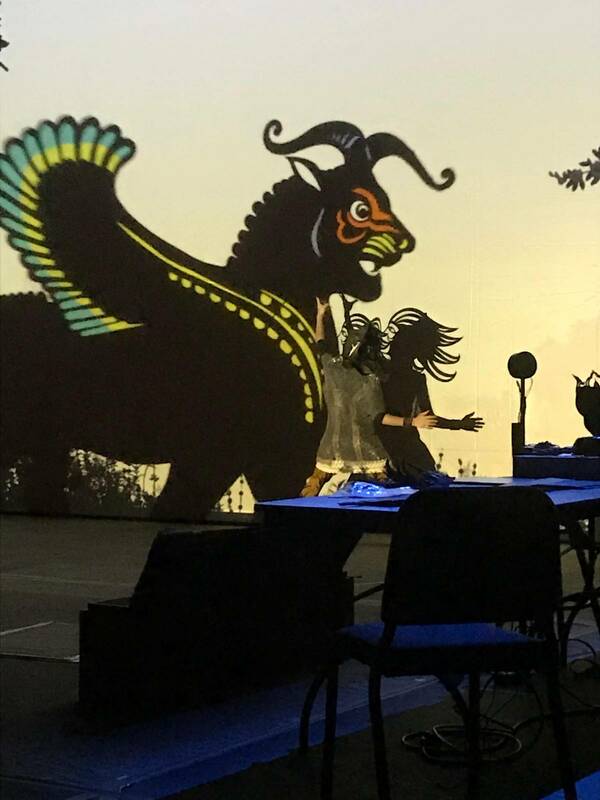 In 2018, the LiveArts experience was made possible through donations from MidWestOne Bank, Hav Life-Johnson County, and the Community Foundation of Johnson County. In 2016, the LiveArts program’s inaugural year, every 8th grader in the ICCSD enjoyed a Step Afrika! performance at Hancher Auditorium. 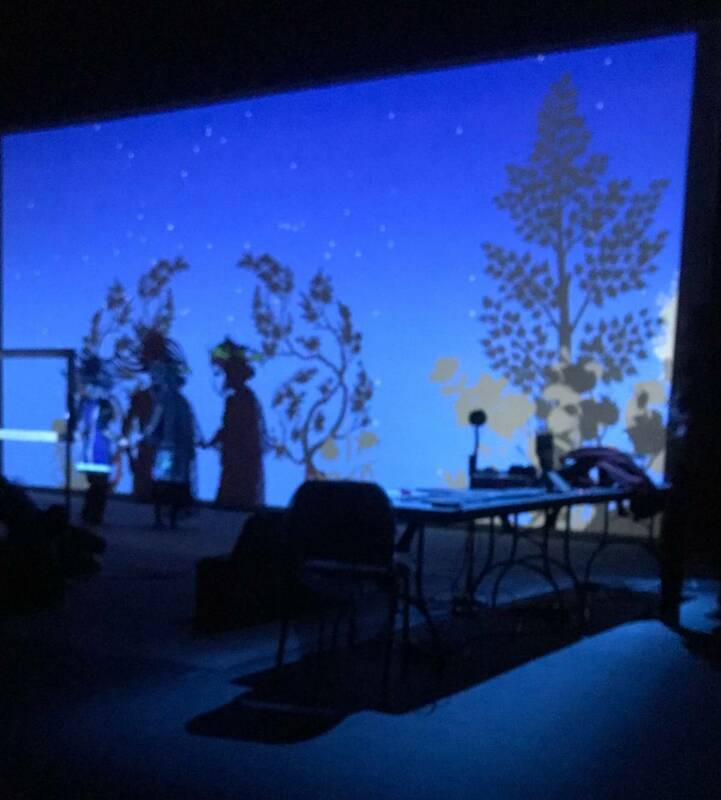 In preparation for the performance, students studied Jacob Lawrence’s depictions of the Great Migration and discussed migration in their American Studies classroom, connecting them with the art and the history they viewed on the stage.